At Ruci and Idoni, I always prefer to sit at one of the tables overlooking the open kitchen separated by a glass partition and today same arrangements were fortunately made. I decided to deviate from my usual lemonade order – Litchi Splash Lemonade was my choice instead of the usual Raw Mango and Mint. In Ruci, the lemonades are served in large jars and the quantity is humongous – one drink can last through the entire meal. The blue coloured Litchi Splash was a nice drink which had the distinct taste of the fruit. 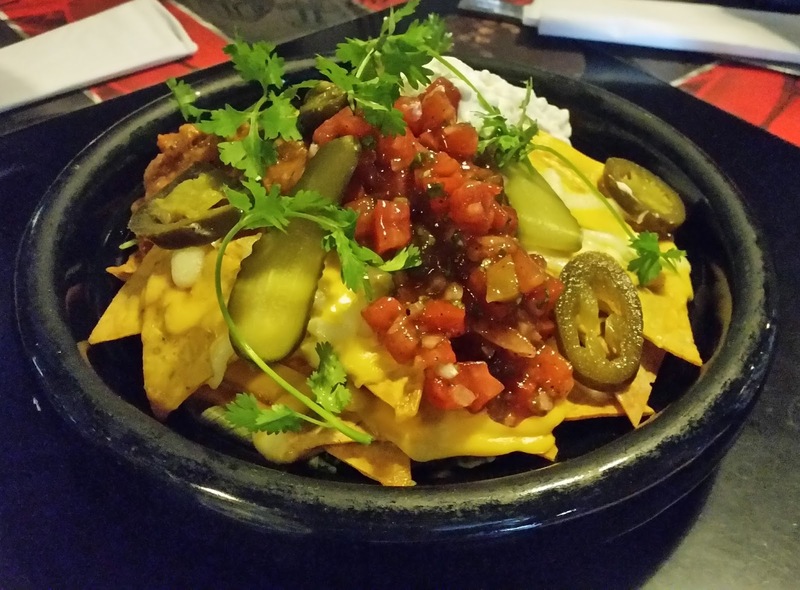 The Chef had shortlisted a set menu for the meet – the first item to make its appearance was Ohri’s style Nachos. The nachos were served with vegetable salads, topped with salsa and cheese. The fresh nachos got lapped up in no time. The bruschettas in Ruci are well known – they now have a Classic Bruschetta Platter with a combination of veg and non-veg bruschettas. Mozzarella, olives and chicken melt bruschetta was my favourite here, another one with apple, raisin and chicken ham too caught my attention as the taste was markedly different. 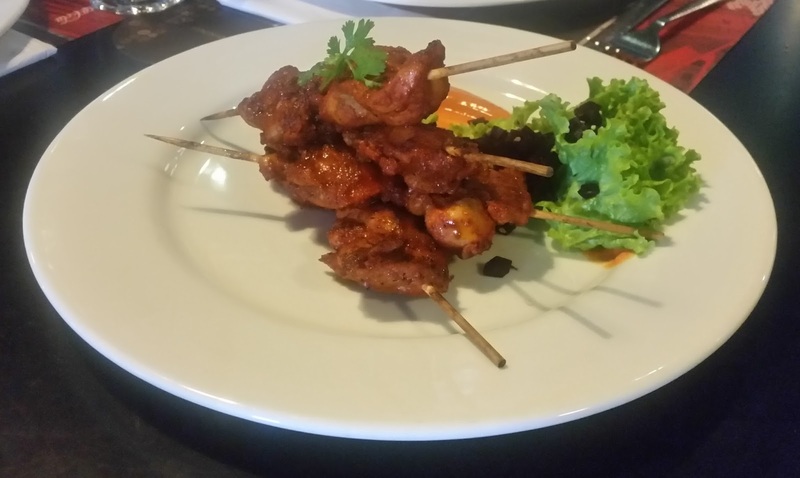 Chicken Chipotle Skewers had grilled chicken in chipotle sauce served with a side salad. The chicken was spicy and flavourful, and I think Hyderabadis will love this dish. Wasabi Prawns had medium sized prawns in wasabi marinade. 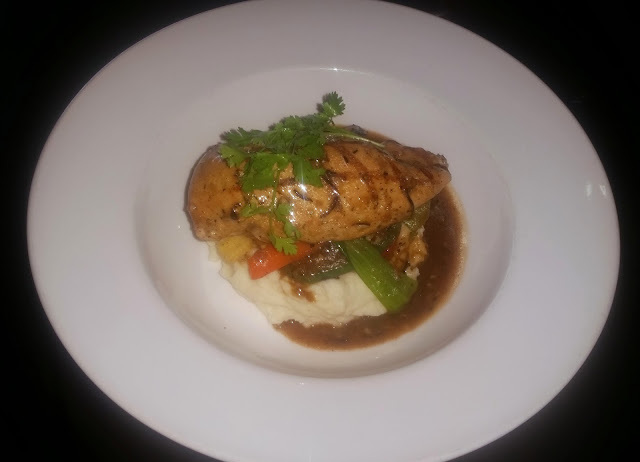 Initially, the dish lacked the zing that we associate with wasabi but based on our feedback the chef made an improved version which was loved by most of us. The presentation of the dish was nice with greens and peeled orange pieces. Along with the starters, Corn and Cheddar Chicken Soup was served. The restaurant has a concept of Soup of the Day – and today’s thick soup was a clear winner. 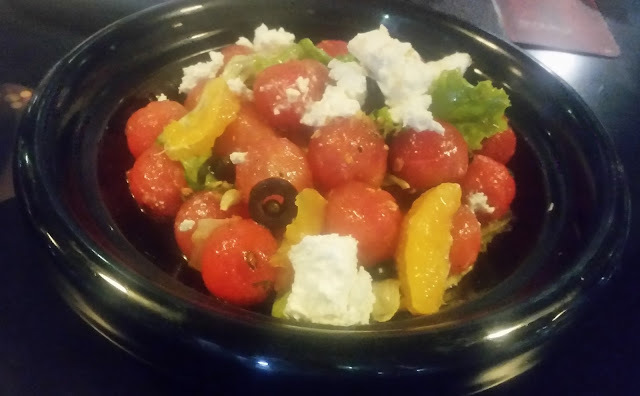 A Watermelon and Feta Salad with diced watermelon pieces, orange and mint dressing was polished off pretty rapidly. 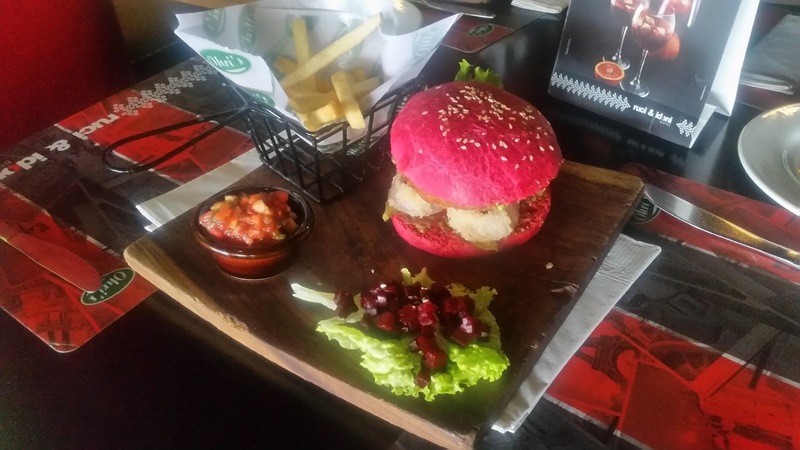 In the sandwiches and burgers section, more than the Pesto Chicken Sandwich, I liked the Tex-Mex Veg Burger – a red coloured burger bread prepared by adding beetroot extract to the dough, with a delightful veg patty, onion rings and mayo. 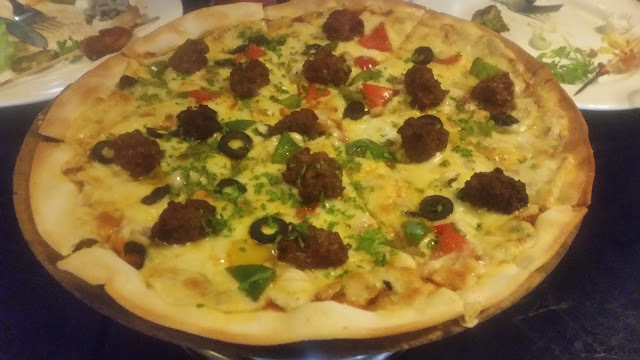 Ruci & Idoni is well known for its thin crust pizzas. Today they served the Lamb Meatball Pizza and Capricciosa – with a topping of a host of vegetables in pesto sauce and parmesan cheese. I was a fan of the multigrain pizzas they used to serve earlier – and hope that they make a quiet return to the menu. Among the main courses Cilantro Fish is an old favourite of mine. A thick fillet of fish with a coriander herb and garlic based marinade and a dip, this was accompanied by baby corn and. As usual, the herb and coriander flavor blended well with the fish. The Three Cheese Chicken had chicken breast stuffed with cheese and spinach. The stuffing was delicious and though I would have loved the stuffing to be, even more, I would recommend this dish. Baked Duo Peppers, one yellow and one red pepper stuffed with vegetables and served in a bed of parmesan cheese was another main course I liked. 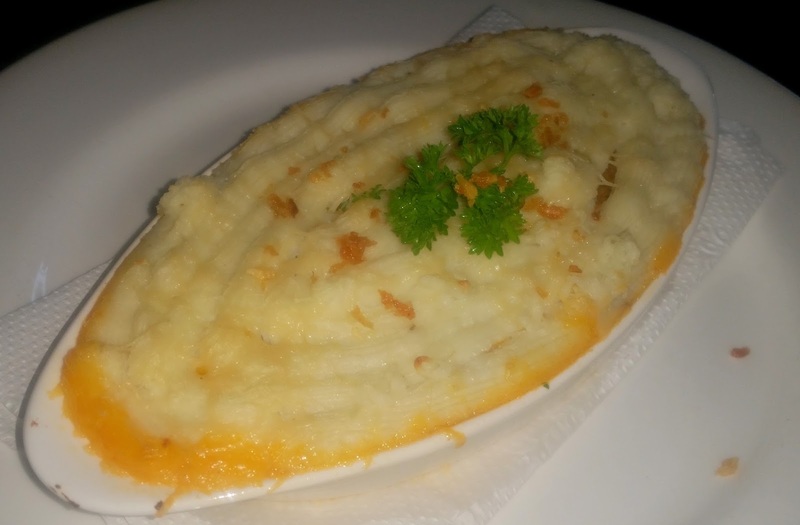 The best was saved for the end, it was the Classic Shepherd’s Pie - buttered mashed potato with minced lamb inside. The minced mutton tasted absolutely delicious. Overall a great choice of new items. They also do have a range of new desserts. 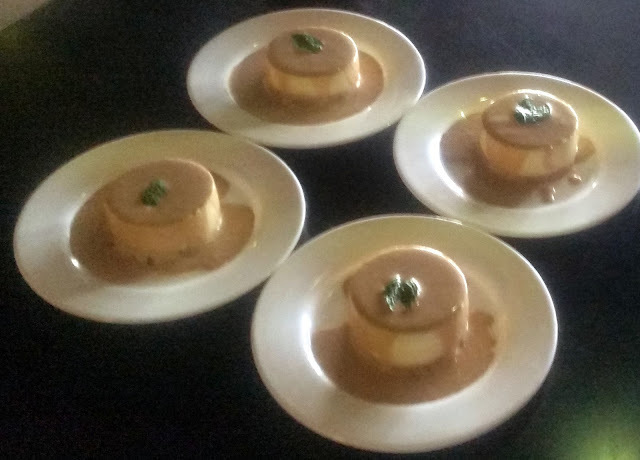 Bailey’s Cheesecake seems to be the standout dish among these as per my fellow bloggers. I tasted the Fudged Brownie in a Jar served with Vanilla Ice Cream. It was too sweet for me. However as always, do not take my views on desserts seriously. My love for the food at Ruci & Idoni continues. Fried Calamari, Citrus River Sole and Louisiana Chicken Wings in the new menu caught my attention for trying out in the future. Good to see that the old favourite, Chicken Piri Piri still remains a part of the menu.